"Excellent Service & Product "
The process from day one to present with Curata has been smooth, painless, and outright pleasant. From the fun & welcoming dinner at a conference, to the Sales demo that was focused directly on our needs & interests, to the contracting process, to the thoughtful packages of goodies….to a phenomenal training & implementation process on a product that simply works the way it was promised. In particular, our onboarding & implementation process was great. Our Curata Customer Success partner helped every step of the way to ensure we launched our first weekly curated content post on time. Our goal was mid-April and we published via API (which we have yet to be able to accomplish with other tools) on March 31. We know we are just getting started with curated content and the Customer Success team continues to gently push & guide us down paths to ensure we are getting the most value from our investment and out of curated content in general. And at our organization, there is always the ultimate litmus test for approval - Sales - and the feedback from our first curated post was 100% positive – “this is awesome and something I can send to my clients every week”. All-in-all if every vendor relationship we had was this smooth our work lives would be a lot easier – so thanks to your entire team for helping us be successful as we start down this curated content path and for generally being a pleasure to work with day-in & day out. Curata is awesome! At this point, nothing. We are still early in our adoption. We are rounding out our content marketing strategy to include a healthy mix of both original and curated content. We are really just getting started so it is hard to provide quantitative results or benefits but the incremental feedback both internally and from clients has been positive. "Excellent Product; Outstanding Customer Support"
We've never had problems with customer support. They are always happy and willing to attend you our needs with actionable solutions and not just generic answers. It has never taken more than 24 hours for them to reply (with a solution ready). The quarterly business alignment meetings are something not every provider does--and this is what the Curata team never fails to schedule. After a year of using the program, there are some minor glitches when it comes to the CMS side (but were immediately fixed by their team). The team is very interested in the line of business we are in. And they make sure that they get to meet your objectives as you use their platform. We want to produce several websites with both original and curated content. Curata has been very helpful in finding us relevant and authoritative articles. We still have a lot to learn when it comes to fully maximizing the product but our regular business meetings have been very informative and helpful. They make sure that we get to learn more about the product features in every meeting. "Excellent content curation, custom newsletter and customer service"
From the start, the Curata team listened to what our needs are and helped us set up the parameters of the software to receive exactly the content we want. We have regular discussions with the Customer Success team to help us hone the content in our feed. When we find content we want to include that was not curated with the software, Curata has a great Bookmarklet that allows you to add any content off the web. Ultimately, we use the curated content to publish articles to a website and Curata custom managed newsletter. Sharing content on the two platforms is incredibly simple while still providing enough advanced options to add the content the way we want it. The newsletter software includes an easy to use marketing analysis dashboard with basic stats and an amazing visual heat map of which articles receive the most clicks. The Curata Customer Success team has been incredibly responsive and supportive as we continue to improve the layout and grow the audience of our newsletter. Very few complaints about the software. They usually have a solution to any issue we raise and if they do not, it is often something in the works that they plan on improving. We use Curata to curate immigration news and resources that we share via a website and weekly newsletter to inform our community of current events, tools, resources and opportunities for immigrants and immigrant service providers. Our subscribers view the newsletter as a reputable resource to stay informed of the most up-to-date immigration news and resources in our region. Their sales pitch was great, but unfortunately we are not reaping the benefits of anything they pitched. Can be a little glitchy, but it is getting better. Curata did start working with me to resolve issues we had with accuracy, but it has taken a while to get to where we are. I'd say ramp up time to get our data fixed was about 3 months, which wasn't what we expected. Would've been nice if data was accurate and Curata was usable within 2-4 weeks. Inconsistency in tracking social shares from marketo pages. 1. The pipeline metrics in curata do not match our marketo, salesforce, or google analytics metrics. 2. The customer success team is not proactive. You need to bug them constantly and they do not follow through. They say they will set up onboarding meetings and resolve issues, but they do not. 4. Promised we would be up and running within a week...It's been 2+ months. 5. The system is VERY slow. Updates are not reflected immediately, sometimes it takes over an hour just for a simple update to occur. When I updated templates, I didn't see changes take effect until the next day. They will say anything to get you to sign on and then drop you. We weren't able to integrate our Salesforce instance with them and they did not care to resolve the issue immediately, it has taken 2 months and we are still not up to speed. This tool is rendered useless at this point. We were given a customer success manager that said they would set regular meetings and make sure issues are resolved, but we have not seen that happen. This is very disappointing and a huge waste of time and money. "Powerful and flexible content marketing calendar and analytics platform"
Curata CMP has very powerful analytics, consolidating data from several sources to give a single view of how content is performing, from social sharing to consumption metrics to associated leads and pipeline. The analytics were what won us over to CMP, but the calendaring and planning features are very useful to keep our growing team organized, as we develop more and more content across multiple properties. The platform is very flexible and easy to adapt to our custom needs for tracking and managing our content. We are still new in our implementation, but so far, there are only a few limitations we've encountered. One is the lack of a multi-select picklist option; however, Curata tells us that this functionality is coming very soon. Second is the lack of a traditional monthly calendar view or even a horizontal weekly calendar view. The vertical view of the calendar of content is taking some getting used to. We are just getting started, but we expect much better access to analytics around content performance, thanks to the integrations with our marketing and sales systems. "News Aggregator and Newsletter Builder"
PCMA has been using Curata since 2013. We originally procured their services to place their API on our website home page for breaking industry news. Over time, we have increased our use of their licensed product to further engage with audience. Using Curata, we now produce a daily curated newsletter, using their news aggregator and newsletter building, interfaced with our ActOn email marketing platform. The biggest plus for us has been their willingness to work with us on tweaks and adjustments we desired, i.e. enhancements to our interstitial page and keeping up with ActOn’s platform updates. Our account representative Andrew is the best. He seems to be almost clairvoyant about knowing when to check in and is always super responsive. Other services have come knocking on our door with their automated algorithm products, but we have found that Curata is best service out there to deliver a customizable relevant newsletter to our audience. Dislike is a strong word. When we have desired changes and tweaks to the product, they have made it happen – to the point of having their CEO on the phone with us. Talk to Curata about your goals and objectives. They provide excellent advice and recommendations. Think TWICE about using a service with an automated algorithm, you’ll be doing a dis-service to your audience if you don’t include your own perspective in your newsletter teases. I wouldn’t say we have solved a problem, but rather we are now providing a service to our audience that has been repeatedly applauded – Daily, relevant industry news, with a PCMA perspective. The benefits for PCMA has been deeper engagement with our audience and supporting advertising revenues that makes the service self-funded. "Curata CMP: Planning, transparancy & analytics in one place - exactly what my team needed"
- The contact with the Curata team does not drop off after the license is purchased - they are interested in how you use the product and incorporate your feedback into their roadmap. The system is rather basic and missing some features which could facilitate complex content production workflows, HOWEVER, they continuously improve the product so I'm sure it will get there before too long. - increased transparency between my internal team & with our clients. - allows for content planning based on your won segmentation needs - not just by platform, but also by audience segments, content type, campaign etc. "Outstanding at the beginning but... "
The sales team from the beginning were just fantastic. We connected to ONE KEY PERSON who constantly asked us of updates and helped us really understand the platform. The non-tech-savvy marketers on our team were able to use it without the hassle and he was extremely helpful in all of our queries. The platform has potential. There are two key services: Curation and Data Analysis. The CMP was supposed to be helpful when it comes to content marketing because it shows you how a content directly affects the sales. Very important metrics, as we all know, when it comes to content marketing. We were hoping to get that integrated reporting on the CMP so we can provide extra incentives to both our marketing and sales teams, but the integration of the platform itself took a lot of tool in our planning and execution that we were paying for it for $12K per annum while nobody was using it. Now, going to the billing, nobody has ever reached out to us to inform us that the contract is set to an end. They let us move forward on the next years locked in that contract. Yes, there may be an oversight on our team as well when it comes to making sure that our contract with them doesn't go on forever, but having someone from their team check in on us to make sure we were happy for our first year and what our plans are when it comes to continuing the service & partnership for the following year would've been appreciated. However, because we didn't have innate connectivity in the third-party applications NEED (which we didn't know was a preprequisite to get the data they said we would have) like Marketo, Eloqua and/or Pardot, we barely used the platform. Curata SHOULD REQUIRE users accounts on these third-party platforms BEFORE signing them on the CMP because aside from what's supposed to be an editorial/revision platform (that took them 1++ years to bring an update to), without the third-party applications, it doesn't really do much. It was a big disappointment especially since the CMP IS pricey. After the first year, we were wondering about the main purpose of the CMP for our team if we signed on with Pardot,for example, because the Salesforce platform will have all the data the CMP will provide. At the end of the day, the CMP shouldn't be advertised as a holistic content marketing platform but a reports consolidation platform. In our first year, they also changed our access that limits us into integrating more domains on our account, saying if we want to use the features that were initially available for us (admins) when we signed up, we WILL NEED TO UPGRADE. Moreover, after one year, there has been a shift in their team. The one person who used to reach out to me constantly and help our team get on track, resigned and I was passed on two one person to another who didn't know what our goals/business are/is. Just a month ago, I tried calling and emailing their team and the person I was passed onto CLAIMED he was the first person who spoke to me this year. Upon checking my email history, it was another sales person/account manager and his email is already deactivated. The current person I was in contact with can't even be bothered to call out during my team's business hours (we operate on different international timezones) and had a lazy, condesending tone during the two calls I've made with him. This big team/management shift is affecting the entire relationship their first salesperson created with us. Their support team is no longer as reliable as two years ago and I don't like where their team is headed. It could be because of their growing success that hubris has gotten into their heads, but honestly, even with the CSS, there are alternatives in the market that can already provide what they're offering (whether it's at par with their pricing or not). What's worse was that I received an email offer (as if I'm a new customer) offering me of an 80% lower offering than what our initial contract states. Nobody even bothered to reach out to my team to tell us that if we want, we can actually opt for the cheaper offering they had launched. We signed on during the early stages of Curata and it's disappointing to see this kind of relationship go on a downward spiral. Because of this, we have terminated our contract with them. Spike and other platforms are better alternatives for Curata. The deployments of updates is SLOW. The company's knowledge of the content marketing industry is good, but the execution and interpretation of that to their understanding of marketers' needs is not evident in what they're doing. "Curata Makes Content Curation Simple!" For CCS, I love that all of the content is placed in a newsfeed for you to view all at once. The filters I create to filter out the content make it easy for me to decide what content is relevant and what isn't. I also love the ease of approving vs deleting/rating off topic and the relevance bar. Being able to create your own caption for the content is a plus, as well. For CMP, I love that you can see how many leads were generated and touched per piece of content on our website. It's interesting to see who is interested in certain pieces of content. It's cool to see how many views and shares each piece has too. I also love the content calendar so you can see what pieces of content went out on what day. For CCS, I don't like that the approved articles get bulked into the Published tab even if you haven't pushed it live yet. It gets confusing when you don't have auto posting and you need to go back and manually push the articles live and you don't remember which you've already pushed. Definitely a time saver in content curation and the support team is amazing! They are always willing to help and go the extra mile to make sure everything I need is taken care of. Prior to Curata, we were manually searching the internet for articles that were relevant to us and our audience. It took a lot of time out of the day and most of what we searched for didn't seem applicable. With Curata, that portion of time is cut out and we can spend our time doing more important marketing items, while still being able to push relevant content out to our audience. "One of the best options currently available"
Curata is a great tool for business just starting out with their content marketing efforts (like mine) as well as those who are more advanced. They have a lot of customizations available and one of the great things is being able to add new fields. I also love seeing the analytics right away, and not having to pull from separate sources. Even though it's customizable, it still has a long way to go. Being able to control what fields show up for what content type would be a huge help. It's also not very good for ABM strategies since you can't filter analytics for top accounts. On the analytics side, it doesn't look like the revenue influenced info is being weighed at all, so you could have 4 pieces of content being attributed the same amount of revenue for 1 deal. That being said, the team is great with taking customer feedback and they seem to really love hearing what their customers need, and accommodating as much as they can. It's one of the best content calendars I found while researching our options - I'd suggest giving it a try! I needed a tool that would give me a flexible way to manage the timeline of our content. Excel spreadsheets would be a nightmare to manage. Being able to drag and drop to rearrange content is fantastic. We're also able to see how our content is influencing our web traffic and known visitors which is nice. "We rely on Curata every day to help us manage our client's content marketing program." We use both the Content Curation Software as well as the Content Management Platform and together, they give us a really efficient way to curate and manage a large volume of existing client and third party content, as well as new content we're developing. We use the software to maintain six landing pages, each full of market-specific content that gets refreshed every two weeks. Curata keeps us organized and has really streamlined our workflow so that we're using more of our hours on high-value activity (creating content) and less on keeping track of it all. For our particular use case, the timeline in the CMP package is not ideal based on the amount of content we update every month and our need to see it plotted over the course of 12 months. That said, the Curata customer success team has really stepped up to understand our needs and work with us to come up with a solution that meets our needs. And once the export feature is added, we should be able to create the annual calendar view we need. I'm very satisfied overall with Curata. The people there are really outstanding. Take your time evaluating the product and talk with them about how you'll be using it. Ask them if they see any issues in terms of its suitability for your intended use, and get all your questions answered before making a final decision. We use our content marketing program to engage customers on a regular basis and keep our client's brand top of mind. While we're big believers in the value it delivers, it's a very labor intensive proposition. Prior to using Curata, we created our own set of tools comprised of a number of Excel and Word documents. While it helped us launch the program, we quickly realized that it wasn't an efficient way to work, particularly given how over time the scale would grow exponentially. Now, we've moved the entire process onto Curata and it has reduced our hours maintaining the program by at least half. We work much more efficiently. We're also saving considerable time locating relevant third party content with the curation tool. We set up our searches at the outset and the tool pulls in content that matches our criteria, learning our likes and dislikes as we mark it for relevance, returning ever more relevant results. "Great platform supported by excellent customer service"
Helps us fine relevant content for our clients and makes it easy to share over a range of social media options. The Curata platform is a real time saver. It's easy to set up and works reliably. I have been very impressed by the strong customer support team who is always available to answer questions and help us get the most value from the platform. I wish that their microsite was responsive. It's a terrific add on benefit but it just doesn't read well enough on a phone. We are solving two problems: curating content for members of a trade association so that individual members get more exposure for their news and managing blog & social media content for a start up company that tracks industry trends. "Curata: Simple, easy, effective, essential software for content curation"
Curata Content Curation Software (CCS) captures WAY more relevant content than our media monitoring or Google alerts efforts ever did. And the system gets smarter and smarter over time, which makes our jobs SO much easier. We would have spent hours finding, vetting, annotating and publishing content before – even using tools like Hootsuite to manage multiple social media channels. Now, we maybe spend an hour a day doing it. The high quality of the results + smart technology + lots of publishing options = an incredibly efficient process for my small but mighty agency team. Not to mention, the customer service is just out of this world. My sales rep (hey, Adam!) and customer success rep (what's up, Keegan!) have been PHENOMENAL. Responsive, thorough and helpful at every step of the way. Sometimes the system can be a little glitchy, forcing a refresh. But the efficiency factor more than makes up for it. If you're an agency, you know it can sometimes be difficult to get clients to invest in new technology or software, even if the outcomes are expected to outweigh the costs. (“Why can't you just use Google?”) As a compromise, we paid for the first month to prove the CCS tool's value. We learned the system, we trained it up, we delivered the results and only then did we send the first bill. It really helped the client see what they were getting from the get-go, and underscores the value Curata brings to our process. My agency, Wordsworth Communications, works with a client that has some pretty bold business objectives centered around both regional and national growth. Our content marketing strategy supports this client by establishing a body of work -- and more importantly, a digital footprint full of delicious content -- that proves our client's thought leadership and expertise. But with an even greater emphasis on curating and creating content for this client, we quickly realized we didn't have the tools we needed to serve our client at the level that would adequately support their growth. That’s where Curata came in. Curata helps us curate, organize and publish content withing a few specific thought leadership segments plus the personalities behind each segment. As previously noted, CCS captures WAY more that we captured previously. The way the system gets smarter over time allows us to produce more content within our scope of work and at an extremely efficient pace. Basically, Curata makes it a snap to create thoughtful, engaging blog posts, newsletter articles, tweets, LinkedIn posts and Facebook updates that offer relevant, timely insights and best practices to our client's potential customers. I'd say it took about six weeks to really have CCS up and running. Since then, the client has reported a steady growth in its social media channels (both brand and key thought leaders within the company). They’ve marveled at how their engagement levels have improved. They’ve decided to add even more company leaders to the list of people we’re curating content for, which will greatly accelerate our content development strategy. The bookmarklet allows us to integrate interesting articles our clients stumble upon with the content we’re already finding in the tool. Seriously, I can’t say enough good things about working with them and would heartily recommend them to colleagues, peers and anyone looking to bring their content marketing strategy to the next level. "Curata CCS and CMP - Incredible"
This platform has transformed our market intelligence and content listening. We are able to quickly find content pertinent to our consulting and sales team, as well as for clients. It takes minutes a day once set up and is a game changer. You'll find so much content that it will change your view of content sharing. But that's probably a good thing. Learn from the Curata team and then onboard early adopters in your organization. Then expand to the larger group. Quick identification of pertinent content for sharing and market intelligence. Integration with Wordpress. We have been able to more quickly and effectively communicate current industry content to our consulting team and publish to our blog and social media. Thanks for being a Curata customer! We love your application of our suite, and are thrilled to see your "recommendations to others"
"Curata Saves So Much Time!" I love being able to pool sources I was scouring "manually" into one place so that I can find new content for our many various channels fast and easy. There's really nothing to dislike. If you commit to the product and invest some time up front, you can build an easy go-to one-stop shop for finding and publishing content. If you are a social media manager or blogger or both, and have multiple channels and routine need to find content specific to your audiences, Curata is a life saver. And don't be afraid of the learning curve. Their staff is very patient and will help you all you need until you feel like you're getting the most out of the program. We have multiple B2C entities each with its own family of web and social media outlets that have to constantly be populated with meaningful content. Doing this by hand was taking our writing team valuable hours each week. Curata has cut the searching task in half time-wise. "Curata is a great content curation solution for any marketer." I like that it learns as I use it so that it finds more and more relevant content for my use case. There are times where content that i have disliked or removed keeps showing back up in my feed. This could be a me issue though. Curata has met the needs that we have had for it. It took a while to get a good handle on it, but the support team has been great and always there to lend a hand. It works great with our Wordpress site. We have had a few bumps in the road along the way, but again, their support team has been fantastic. Since we have a very small marketing team (two people) we don't always have time to create content ourselves. Curata helps us find content that fills our needs and is relevant to our audience. "Curata CCS: content curation, increased content output, reduced time-spend on content creation"
- Filters make content findable by subject, persona, etc. Overall Curata has been a huge time-saver and helped improve content quality across the board. It has allowed us to launch a successful newsletter for each of our buyer personas and increased blog traffic and online engagement. Software was not as intuitive as some other similar platforms, however the customer success team was very helpful in getting things up and running. Content marketing for a niche market with limited resources. Improving digital engagement and customer nurturing without making another full-time hire. "Curata CCS - Robust, Intuitive and Powered by Awesome People"
We love Curata because it has been extremely useful tool for helping us research relevant content for blog posts and other original content. It has also allowed us to round out our content calendar with curated content, which means we can stay top of mind as a trusted source with our audience. Coming in a close second is the Curata Team. From Sales to Support everyone has been extremely accessible and timely in answering questions. Knowing a live person is there if we need them means a lot. Many support teams have gone the way of email or support FAQs only and that can be extremely frustrating. But that's not the case with Curata. The only feature that would be helpful is a calendar showing what was posted/approved to be posted, the channel, and at what days/times. This would help us visualize our content calendar better and where we can fill our original content in more. We considered Curata vs. another curation software. Using both trial instances simultaneously there really was no comparison. Curata was far superior, robust and intuitive. It really is user friendly and as stated before the team is amazing. If you are looking for a tool that does exactly what they say it does with great support then Curata is the way to go! Before using Curata, we had MANY Google Alerts setup for keywords. Most of what we were being alerted about was junk and manual searches were still needed. It seemed like we were sharing content from the same sources all the time. Since Curata is so robust it has helped us to find new, relevant sources for content that matters to our audience. As well, we've found it to be a great tool for researching new blog posts and our upcoming ebook. Many thanks for the kind words! It means a lot, especially coming from a savvy and thorough buyer like yourself. Without giving away too much, we're putting some finishing touches on another customer-centric feature that we believe you'll love. "Committed technical support for our pilot"
The technical support provided by Phil and Jesse for our trial of Curata was excellent. They assisted us with a can-do attitude and helped us develop a great understanding of the software and skills to pilot it effectively for our organisation. We identified a couple of excellent use-cases for our organisation. There wasn't much to dislike about this product. It does what it claims, and the investment of resources to getting it to work well is worth it. Have the channels where you will use the content ready first. We got Curata working for us, but the channels where we wanted to publish the content have been delayed. We have done a proof-of-concept for content curation across multiple divisions and business units. "Curata lets me easily track my blog metrics and determine how my content is performing. " Tracking metrics from marketo and salesforce allows me to easily get better insight into which blogs are performing the best. I like the automation for when I publish a new blog post, it automatically pulls in my latest content and at most, all I have to do is make a few category inputs. I have very few complaints about Curata. I think it may make it easier to view the timeline if there was a more distinguishable gap between items and days, similar to the way the classic timeline looks. To me, it was much easier to use the merge function in the classic timeline view. I know it is still available in the content tab, but it was more accessible in the older version. Curata is a great platform to track metrics and keep tabs on your content performance in an easy-to-use format. This enables me to better understand which content performs and which does not. I have better insight into which content I need to do more of and which I need to do less of. In addition, I use the timeline as an editorial calendar, so this helps me stay more organized and more efficient. "Curata Curation Software: Bought It Twice"
I've bought Curata Curation Software twice and had very positive experiences both times. For any content marketing team that is serious about driving substantive, educational content to its prospects, partners, and customers, Curata Curation Software is a must. The Curata team is highly collaborative and always makes themselves available when support is needed. If they don't have an answer to a question or problem, they go and find one for you. The solution is highly intuitive and can be configured and setup in a matter of a few hours. The Curata Customer Success team then works with customers throughout the lifecycle of the contract to ensure maximum results and value. When we extended the solution to additional teams and team members, the Curata Customer Success team was more than happy to schedule individual training sessions with each of them. On a side note, as the Curata executive team is highly knowledgable in the content marketing space, content marketers should take advantage of their acumen by attending their local user group meetings. These are highly informative, not only ensuring that you maximize your investment in Curata but helping you become a more effective marketing professional. The combination of algorithms that are built into the Curata platform and the ability to filter results enables one to create curation streams that are highly accurate. Its self-learning component ensures that its streams become increasingly more and more accurate. Additionally, the newsletter capability is particularly useful when providing industry or subject-specific content on specific topics (based on keywords) to broad groups of individuals and teams (can decide to whom they are sent and when). Finally, the API integrations between Curata and other software platforms is an additional value proposition, helping to ensure that you have one integrated content marketing dashboard--regardless of the number of tools that you have in place. There are a few quirks in the administrative user interface that aren't completely intuitive. However, once you've walked through each of them, the tasks make complete sense. 1. Compile a list of core requirements for your content curation (and content marketing management if you're also considering Curata Content Management Platform). Include those that are "must have" and those that are "important but not necessary." As with any software review, compare Curata and the other solutions alongside those. 2. Make sure you check references on all of the solutions/providers you're considering. Verify experiences through the entire software lifecycle and renewal and not simply set up. This will provide you with richer feedback and help you evaluate your solution options better. * Used Curata to drive the number and quality of blog posts on a company blog. The curation feeds were used for ideation as well as curated as posts. In the case of the latter, we wrote 300-word summaries on our company "take" on the curated content (demonstrated our thought leadership while increasing our post volumes). Key results included increasing the number of blog posts 30% to 40%. * Used Curata to feed industry content to company BI team that was repackaged into customer-facing content. Saved BI team 1+ hours of staff time every day that previously had to be spent culling through web crawlers and social media streams. "Curata keeps us in the know"
Their support is great, and their product is straightforward and easy to use. We like using it to help feed our social media content pushes. As soon as we see an article that pertains to our industry, we can use it as a thought leader piece. There's so far nothing I really dislike - sometimes it can be a lot to sift through the noise of similar search terms, but it's manageable. It's great for tracking news mentions, so if you're doing your own PR, or if you want to stay ahead of whats happening in the news around your industry, or if you have a social media strategy that includes becoming a thought leader, this is a useful tool. "The software is great - the customer service is better"
Intelligent relevance sorting that gets smarter over time, customer service support, ability to create filters for separate topics (we have multiple content streams), ability to publish through the software or just use it for story gathering. Would love better multi-language support; Otherwise, even the smallest glitches have been immediately tackled by the tech support! Be prepared to put in some time 'training' the software for what you are looking for in terms of topics, etc. The relevance score becomes irreplaceable in terms of value and truly makes the software top notch. We needed away to gather news stories on one topic from news sources, websites, and RSS feeds from across the country. Now that we have 'trained' it for the topics we like best, Curata can get those for us and be shaved down to the best stories in under an hour each day. 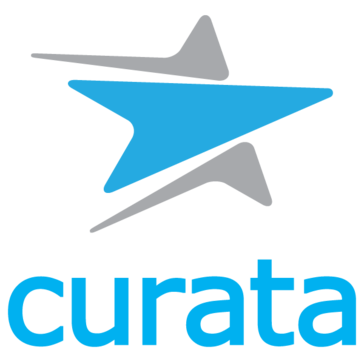 "Curata is a top-notch curation tool!" Curata is very easy to use. The Customer Support team is more than helpful. I've been using Curata for about 3 years and couldn't be happier with the overall experience. There isn't much I can say here, I am 100% satisfied with Curata. Don't hesitate to explore this tool, the demos are helpful and can give you a real view into what this is all about. We are solving communication issues around content through the use of Curata. We've realized that Curata can solve our needs to bring our Marketing Org into one central point of contact. "Great product with solid support"
Curata is easy to use- but has a powerful feature set. The support team is excellent and with their help, we continually gain high levels of utility from this product. Great investment/value and partner. We also see the ability to utilize additional Curata feature sets as our needs evolve- plus they also listen to our ideas for new feature sets. Teaching the aggregation engine requires continual tuning since the news sources search feature- although powerful- may include sources which are not relevant or qualified. Pressing the "thumbs down" button is not intuitive- the algorithm should learn from pressing this button that the article does not meet search criteria- rather just changing the suitability classification. This is a very powerful product that has an exceptional support team that provides personalized service..
Our site features a daily newsfeed specific to our domain. Curata provides breadth and depth from their content aggregation and provides a very useful useful curation tool and allows to readily identify trending topics. It also provides us with a comprehensive "in the moment" perspective on emerging news. We utilize Curata daily to also find ideas for original content as well as for augmenting and diversifying our content. The way this tool finds targeted content is a great time saver. Curata gives me the ability to describe the content that I am looking for and then the ability to fine tune as time goes on. There's not much to dislike. The choice of pictures to go along with the content that I choose and add is good but could be improved or added to. It can do a lot. Don't be concerned or overwhelmed by all that it looks like it can do. The product can be concerned a step at a time and the support is very good. They are there to help you progress and grow in your using the product. I have to find and create a lot of content for my customers. Curata gives me the information and suggested content that allows me to be much more productive. "I use Curata everyday to build out custom newsletter for financial advisors"
"Robust Platform, Not Too Intuitive"
Was most excited about the integration between Curata and Wordpress, so we could curate blog posts that would automatically schedule out / post through our Wordpress blog. Also like the ability to locate influencers and content related to our hottest topics. Not intuitive UI, and not sure if it was user error or poor integration, but still can't get Curata posting blogs through our Wordpress very well. Being able to create relevant, quality marketing content (blogs mostly) in a timely manner. Saves lots of time so we can start bringing in more inbound leads through our content. "Exactly What We Need to Pull Off Our Content Goals"
Curata does exactly what I'd hoped. It helps my team efficiently find and curate more meaningful information for target personas in target markets. Brilliant tool! I have absolutely nothing critical to say about Curata, not even a real delta. It works, period. I can't say it enough, this tool does exactly what Curata said it would do. It's sad to say, but that's rare in this day and age. I'm also impressed with their customer service. They have been very attentive to our needs. Curata has helped me solve the problem of not efficiently sourcing content to share with my target market personas. Because of Curata I also attract new target buyers to our website. I'm also using it to source content for multiple domains. "Curata has helped our team become more strategic with our content"
The ability to coordinate content creation and delivery across teams and regions. The ability to quantify our efforts and measure it's impact on the business. I wish I could create reoccurring content items automatically. I also would like notifications to be sent when an item is almost due AND overdue. Better allocation of resources and measuring impact on a piece by We've uncovered which activities drive the most revenue and we're able to iterate on those things. "from the first day this product has been rock solid. I use it everyday and it has been very consiste"
the user interface is easy to use. After a few days it was as if I had been using it for a long time. Sometimes there are duplicates of the same pieces in the stream I see in the AM. This is not a big issue. I just run through them as I select the pieces I want. Curata is a solid product and I'd recommend that you seriously consider them. We have used this product for several years and its very consistent. Rarely an issue and it just does what its supposed to do. We wanted to raise our visibility and leverage social media more effectively. Our web traffic increased and we are raising our brand visibility. The convenience of having a quick resource to aggregate news, interest and blogs that we can leverage. Not much really. Relevance does not work as well as suggested as some articles I mark as low interest still show up. Wanted to be able to easily be able to share more content on our channels. "Curata saves time, provides value. " Takes the leg work out of hunting down content that's relevant for my organization, has a powerful feature set which goes beyond simple curation, and an absolutely outstanding customer success team (that's you, Jesse!). Having machine learning do the heavy lifting is an absolute godsend. The UI is a bit outdated looking, but if that's my major complaint then generally we are okay. We are using Curata to surface content relevant to our industry, to save time finding content, keep track of our competitors content output, and using it for internal content newsletters. Curata, above all, saves me SO much time in the run of the day. "Good tool for finding articles to share on social media"
This platform helps me and my team organize, publish and promote content on social media platforms based on our interests/ industry. It's easy to add new searches and filters to get relevant content. A lot of articles are showing multiple times (when shared by different publishers). Sometimes it takes a while to pick the right one. It saves a lot of time when in need for trending articles based on industry. "Makes content curation a breeze"
Super easy to aggregate content from both known and unknown sources in order to increase your industry relevance. The user interface could be a bit easier to navigate. Reporting could be improved. We're using Curate to help increase social reach, engagements and relevance. "Curata helps save time and effort "
I like the fact that I can consolidate all my preferred sources of news in a single platform, which allows me to curate content for social media on a daily basis and monitor client activities. Currently there isn't a Curata app that I can use on the go. I curate content on a daily basis to feed our social media channels and to provide client and competitor information to our management team. "Curata Has Been a True Game-Changer for our Business!" The easy to use dashboard is fantastic and the customer service is amazing! At times the crawlers can be slow and unfortunately the system doesn't alert us that the crawlers are either down or slow. Through Curata we are able to provide Members with the latest in corporate governance news be education. "Helpful analytics for aggregate content performance"
Intergration with Marketo and SFDC makes pulling all content metrics together in one dashboard easy. Not being able to sort based on other fields not in the out of the box dashboard. With curated content we're improving the trustworthiness of our brand, and we're able to better participate in the conversations going on in our industry. "Great product - allowed us to keep on top of everything we needed to"
How easy it is to set the platform up, and therefore how quickly we got results. Nothing - the platform was perfect for our needs. Curata gave us the ability to keep on top of everything we needed to track, which helped inform our content and ultimately, keep our clients happy. * We monitor all Curata reviews to prevent fraudulent reviews and keep review quality high. We do not post reviews by company employees or direct competitors. Validated reviews require the user to submit a screenshot of the product containing their user ID, in order to verify a user is an actual user of the product.